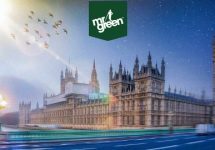 Mr. Green – New Games Cash Raffles! 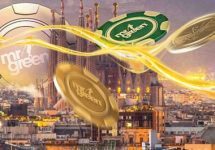 Will you enchant your casino balance with cash? 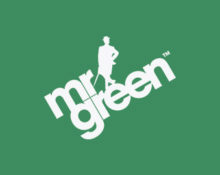 The big raffles at Mr. Green continue this weekend, yet again including two great new games from IGT and Play’n GO. The first has a huge £15,000 prize pool and 1,500 winners while the latter will splash £6,000 among 25 lucky winners. Play on both slots to earn your tickets to the prize draws and you could be walking away with a bag of cash, no wagering requirements. Will you enchant your bank balance with cash? Far, far away from human civilization exists a mysterious realm of fabled animals, sorcerers and magic. Play this mysterious new slot from Play’n Go between 26th to 29th January to qualify for the £6,000 prize draw. Ever 20 consecutive game rounds played at £0.30 per spin across all pay- lines on Jade Magician during the promotional period is equivalent to one prize draw entry with no limit to the amount of tickets per player. On 30 January Mr. Green will randomly draw 25 lucky winners with cash prizes ranging from £200 – £500. All prizes will be credited as cash within 72 hours. Terms and conditions apply. The promotion is in association with Play’n GO. Fortune abounds in every spin of Mr Green’s latest slot game ‘Gong Xi Fa Cai’. First of the two prize draws running from 26th January to 5th February 2017 with a £15,000 prize pool. Every cumulative £10 wagered will earn one entry into the prize draw with no limit to the amount of tickets per player. In fact they can win more than one prize because winning is based on tickets entered, not per person or per player account. On 6th February 2017 Mr. Green will randomly draw 1,500 winning tickets each receiving an equal share of the prize pool. All prizes will be credited as cash within 72 hours. Terms and conditions apply. The promotion is in association with IGT.